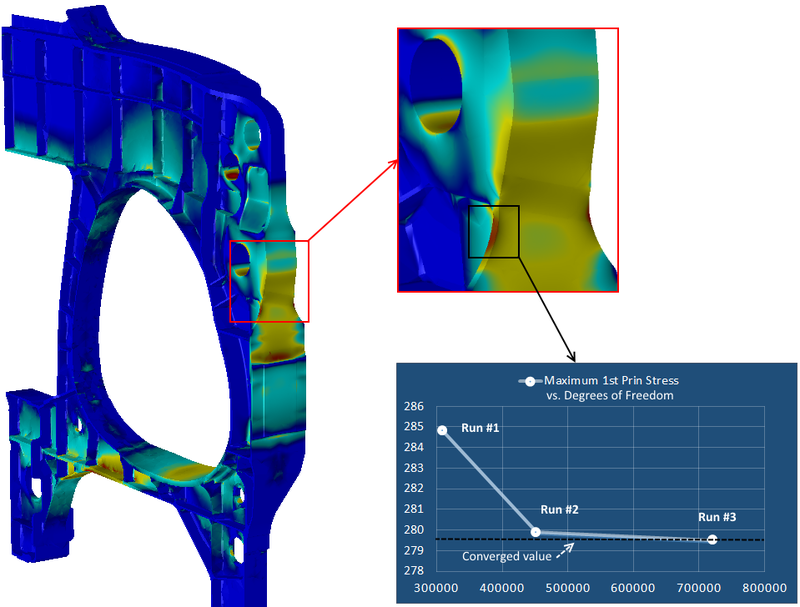 High-Fidelity Stress Analysis Webinar | ESRD | Engineering Software Research and Development, Inc.
We will introduce a different approach to numerical simulation that has been developed and commercialized by ESRD which takes much of the art and craft out of finite element modeling. An example engineering design problem from the aviation industry, requiring accurate results around stress concentrations to meet durability requirements for a long crack initiation life, will be presented. LIVE DEMO: You will see a demonstration of ESRD’s StressCheck® and its live dynamic results mining of any value of interest, anywhere throughout the model regardless of the mesh topology, as rapid design changes are conducted, evaluated and parametrically iterated.